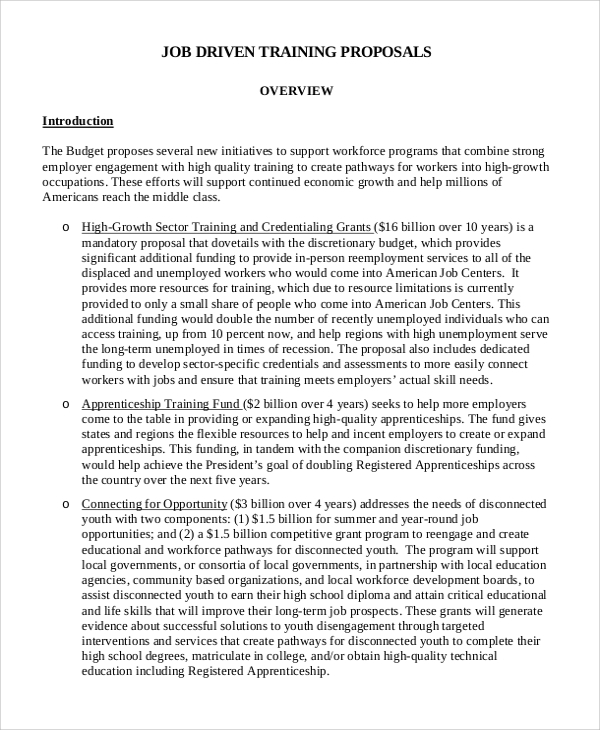 Job Proposal Sample is drafted for a particular purpose, which could be job training for individuals, students or even a process to enhance employability further. The belief that training is instrumental in acquiring a good job is very true, as prospective employers seek trained and skilled workforce to reduce their dependence on a non-productive period if an untrained worker joins the force. Research Proposal Sample is a tool to fine tune a strategy. The specifically trained worker is someone who has been tutored to suit the employer’s style of operations and becomes an asset to the workforce without the gestation period. The sample here is a job proposal from one establishment to another. Details of the job to be executed are explained in detail, along with the proposed cost for approval. The reason why job-driven training capsules are a viable proposition is that trained workers contribute substantially to the establishment and the economy without much time delay. Job Proposal Samples have wide-ranging benefits which can do wonders to the growth prospects of any establishment. There are various options available for consideration and can kick-start the training strategy to be followed and implemented. It also plays a key role in the structuring of the workforce. 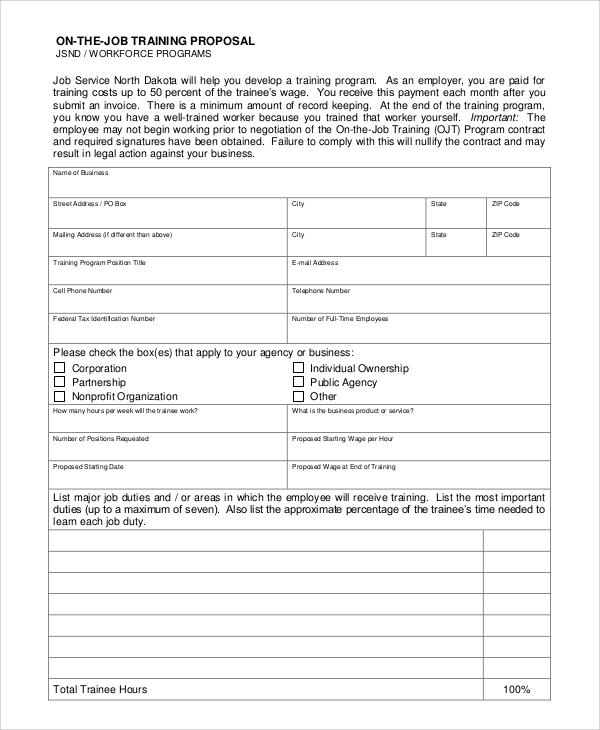 Employment Offer Letter Template is a handy document for the human resources department to use after selecting a candidate. To increase the employability level, students are programmed to undergo specialized training, based on the demands of the labor market. It also ensures that unemployment levels are kept to a bare minimum. 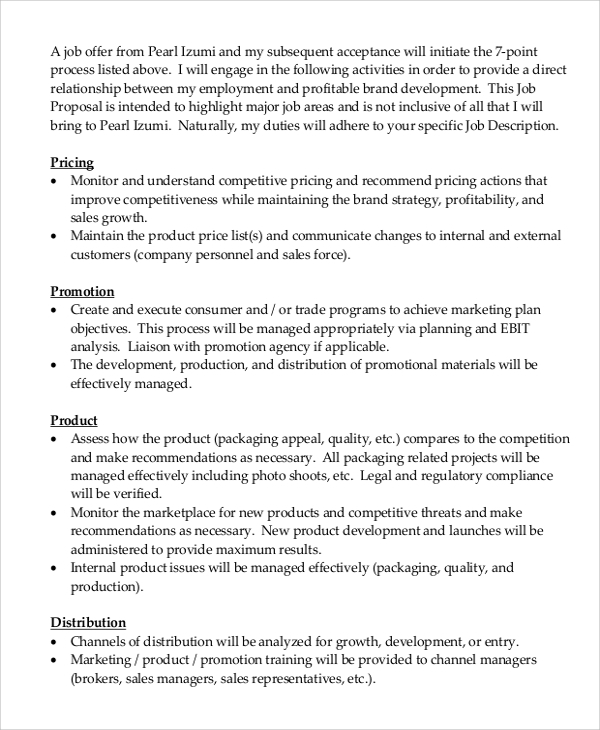 Even though the sample here describes in detail about a job proposal for marketing, it can also be used as a guideline for similar other proposals, as all relevant headings are listed here. How to create a Consulting Proposal? Before taking up a project for consulting, it is vital that all relevant information is gathered about the existing establishment, its history, whether it has achieved its potentiality, impeding factors, profitability, etc. Based on this information, a feasible proposal can be drawn up. You can also see Sample Business Proposals. How to Write a Job Proposal Email? 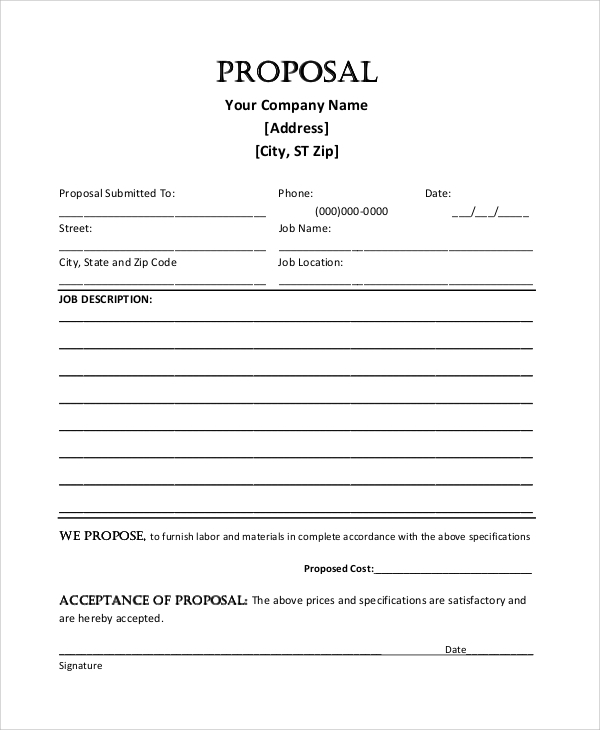 A digitized job proposal should be of the same format. However, it will be needed to be sent in the form of attachment, and if the file is too large, then it is advisable to send it as a zip file. What is in a Business Proposal? It is prepared in such a way to give the investor an insight into the viability of the project, detailing as much information as possible, covering factors like sales potential, production and overhead costs, marketing strategy, demand graph, competitor strength and future growth. Job Proposal Sample as listed is vital to indicate the strategy an establishment has to formulate about operations, execution, marketing, training, etc. The Project Proposal Sample, however, is for a particular project and should include only relevant descriptions. Letter of Job Offer is issued when a candidate is found suitable for employment.